With gentle curves and streamlined designs, the Tempo range is perfect for the modern bathroom. 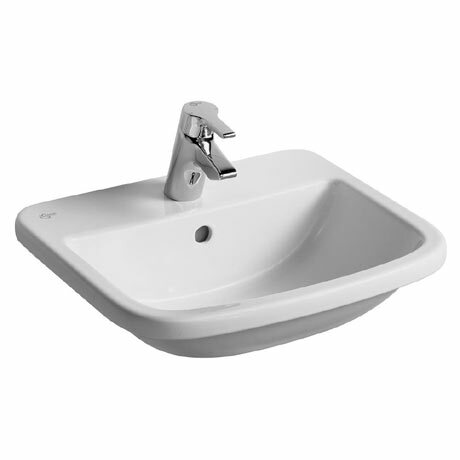 Suitable for domestic or commercial use, this inset countertop washbasin is manufactured using high quality fine fireclay and features a single tap hole and integrated overflow. Ideal Standard offer a lifetime guarantee on all ceramic products. Dimensions: (W)500 x (D)430 x (H)180mm approx.